Arrests for drug charges are on the rise in Nebraska, with felony drug arrests by the state's highway patrol reaching an all-time high. Much of the uptick comes from an increase in drug stops on the 455 miles of Interstate 80 within Nebraska, especially for the transportation of legally purchased marijuana from Colorado and other western states. 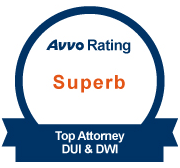 If you are an in-state or out-of-state resident arrested for cannabis, cocaine, methamphetamine, or heroin, you need an accomplished attorney who gets results. 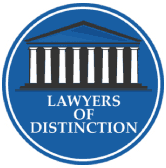 When you choose Olsen Law Offices, P.C., L.L.O.., you get Nebraska's premier criminal defense lawyer in Attorney Tom Olsen, a Former Assistant State Attorney General and Assistant Omaha City Prosecutor. Attorney Olsen has helped thousands of clients from throughout the United States achieve favorable outcomes in drug cases, including possession with intent to distribute, drug trafficking, and drug manufacturing. Attorney Tom Olsen is an aggressive advocate for citizens who are victims of inappropriate actions by police. Many traffic stops occur after an officer tails a driver long enough for them to make a slight mistake. If the officer subjectively decides there is suspicious activity, they call in a drug dog unit, and if the K-9 detects narcotics, a search and arrest follow. Attorney Olsen is adept at recognizing and proving instances of police misconduct, including illegal search and seizure. If law enforcement acted illegally, he will find out and ask for a dismissal of all charges. If your case is best resolved through a plea agreement, Attorney Olsen and his reputation are well known by prosecutors across the state, which makes him the best lawyer to negotiate on your behalf. Individuals from outside Nebraska are often targeted on I-80, as the police commonly view rental vehicles and cars with out-of-state license plates as potential drug transports. Getting arrested for drug crimes in a state other than your own can be frightening, regardless of whether you face state or federal charges. Attorney Tom Olsen is here to help alleviate much of the fear and uncertainty. He will first ask for bond terms which allow you to leave Nebraska and return to your home state. He will also ask for a waiver so you are not required to attend your initial plea hearing. Depending on your charges, you may only have to come back for the final stage of your case. The majority of Attorney Olsen's cases end in either dismissed charges or a favorable and carefully negotiated plea deal. Olsen Law Offices, P.C., L.L.O.. understands the stress you face as someone charged with a drug offense. 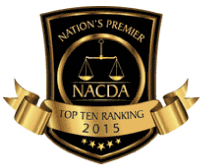 We are here to fight for you through every step of the legal process. 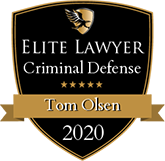 With Attorney Tom Olsen, you will have the elite-level defense necessary to secure the best possible outcome in your case. 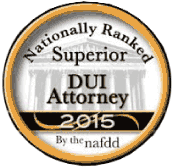 Contact a 24/7 York County marijuana attorney today at 402-598-5789. We also serve clients in North Platte, Kearney, Grand Island, Seward, Papillion, Aurora, Lincoln, Lexington, Sarpy County, Lancaster County, York County, Buffalo County, Lincoln County, and Hall County.